So you’ve decided to decorate or redecorate your room, how exciting! With so many interior options to choose from, it can be a little overwhelming – especially when it comes to choosing between painting or putting up wallpaper. To make the choice a little easier, we’ve come up with 5 reasons why to wallpaper or a mural instead of paint. Unlike paint, wallpaper is a very durable material. If you just moved in or have little ones running around the house, not to worry!  Unlike paint, if you bump into wallpaper it won’t chip, dent or scratch. If you did happen to get a mark on the wallpaper then that too is not a problem as wallpaper is so easy to clean! All you’ll need is a sponge, some water and soap and you’re good as new. 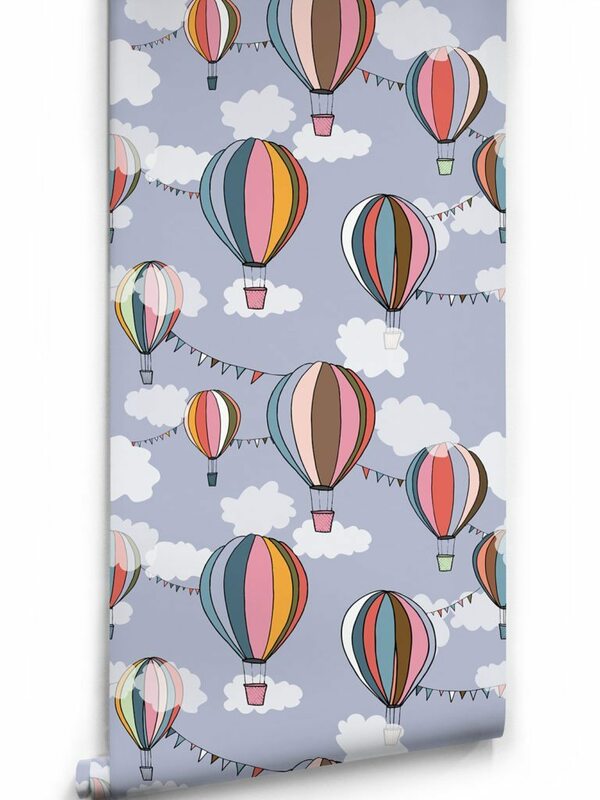 The Balloons wallpaper is the perfect wallpaper to paste up in your kids room for these reasons. Finished with two coats with a formulated glaze, wallpaper like Balloons is incredibly durable and fade resistant. Another great reason to choose wallpaper over paint is simply because of the vast availabilities of designs and textures they come in. To add depth of character to any room, choosing a wallpaper that features an ‘offbeat’ design and texture is the perfect way to do so. 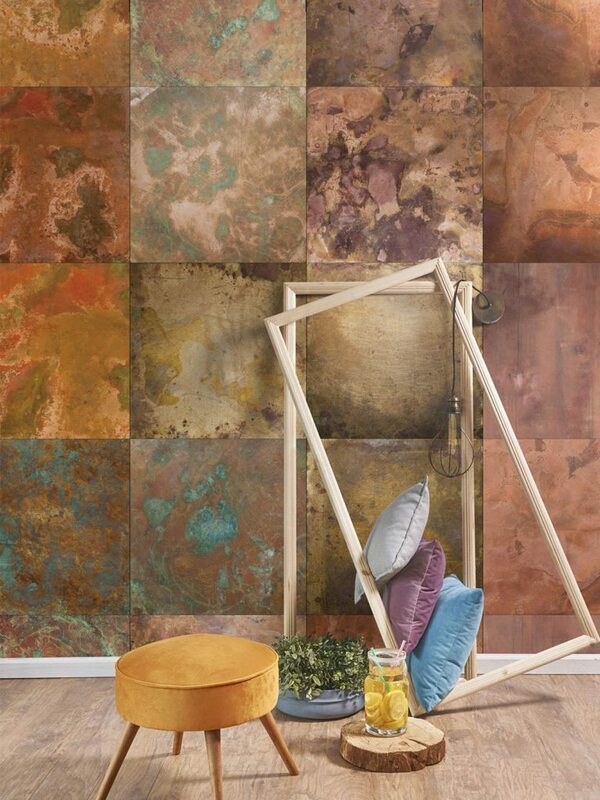 Wallpapers such as Recycled Timber and Bronze and Cooper are amazing examples of this. With their unique looks and textures, they add a rustic, homey feel to any room in an instant. Building off of how wallpaper adds to the character of the room with their design and textures, wallpaper has an overall visual appeal that paint can sometimes lack. If you love vintage vibes but are looking to have a ‘feature’ vintage piece, vintage wallpaper is the perfect option. 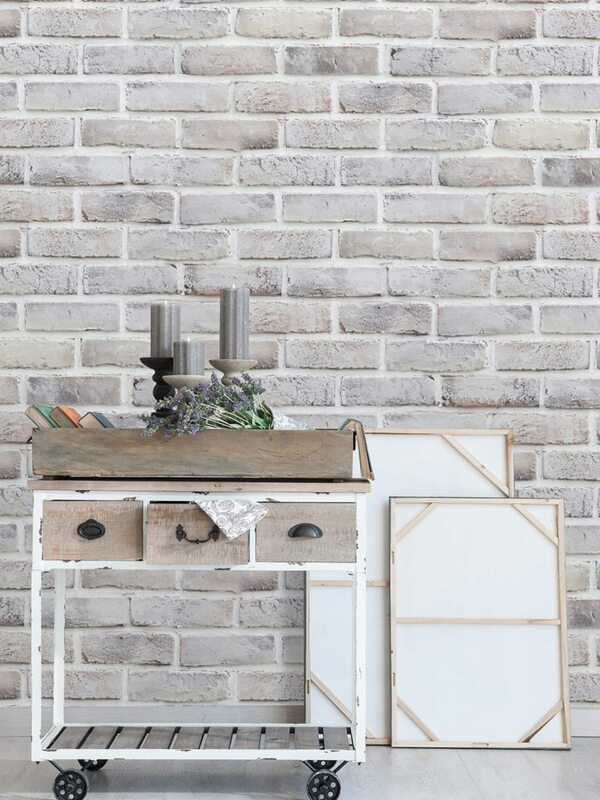 Chevallier and Lime Washed Bricks are so visually appealing and effortlessly add vintage vibes throughout the entire room. People can sometimes be deterred from choosing wallpaper with the fear of having to put it up themselves. But what a lot of people don’t know is that there are so many wallpapers that are perfect for the home handyman! Take Snow Drop wallpaper, for example, made with hardwearing, non-woven, paste-the-wall wallpaper this is the perfect choice for both domestic and commercial applications that can be done by you all while having a professional finish. Finally, wallpaper or mural is so great for standout features. If you’re a minimalist who still searches for that one standout feature, wallpaper and murals are your answer. You can choose from funky patterns or even an entire wall mural. It doesn’t have to be your token beach scene or New York skyline, while those are super dreamy, take it up a notch with Solar System or Ocean Meets Sky. 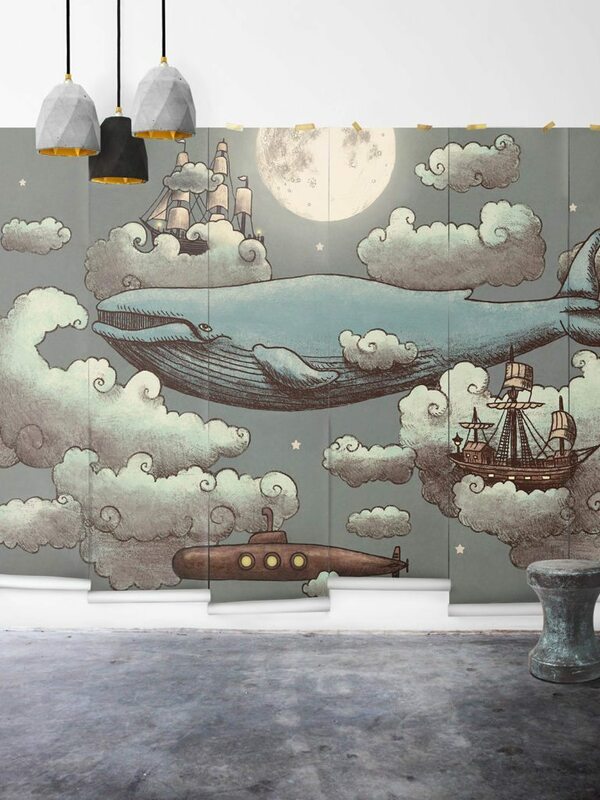 These unique murals add a calming yet striking presence to any room, one that you couldn’t quite create with paint.